i hope it’s big enough. 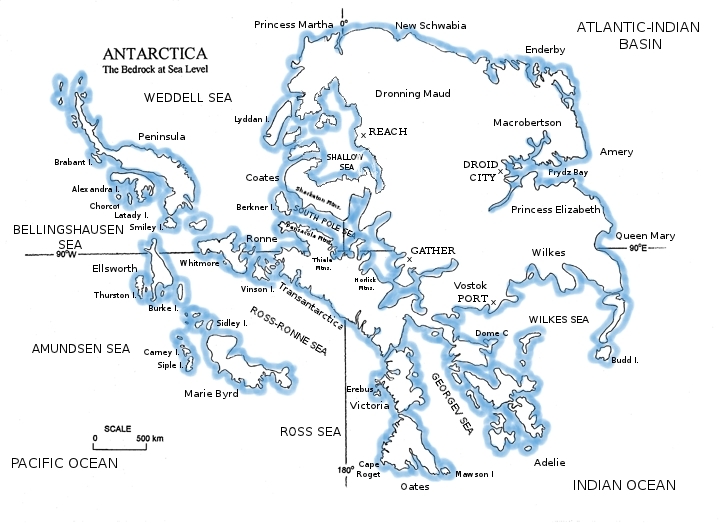 i have taken the bedrock map of antarctica and transposed topographical features from the current surface map. it’s a work in progress, and any corrections will be appreciated. most of the labels came from the coastal features, because everything else is under ice at the moment. but when the ice melts, there’ll be a bunch of interesting features. like the peninsula. and the outer islands of ellsworth and marie byrd lands. most of wilkes land will be under water, and most of east antarctica will be rolling plains. it’s a place i’d really like to live. wow, i’m updating this one all the time. as i learn more about antarctica, and think more about what i want to happen here, it changes my understanding of the map, so i’m redrawing it. 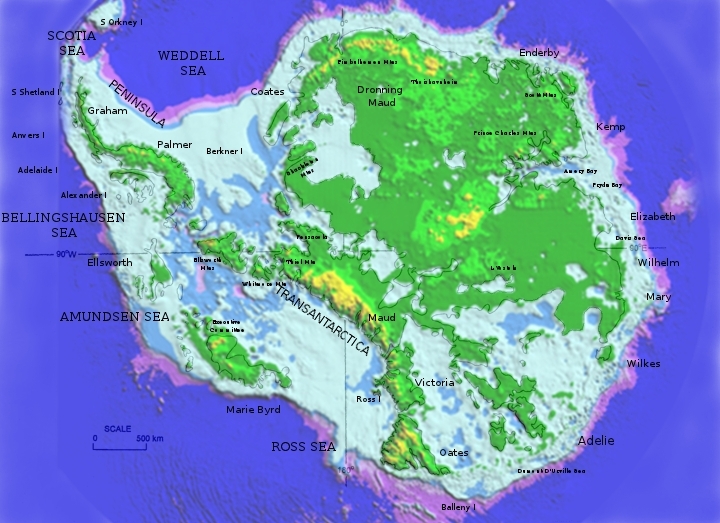 Posted on December 10, 2011, in antarctica, game and tagged antarctic map, antarctica without ice. Bookmark the permalink. 5 Comments. I love all the work you did with this. Did you ever finish and publish your game?